Who is challenging those in power? Jorge Ramos recently did a TED Talk titled “Why Journalists Have An Obligation To Challenge Power”. One of the first statements he made struck a chord with me. I was born in Mexico, but I’ve spent more than half my life reporting in the United States, a country which was itself created by immigrants. As a reporter and as a foreigner, I’ve learned that neutrality, silence and fear aren’t the best options — not in journalism, nor in life. Neutrality is often an excuse that we journalists use to hide from our true responsibility. What is that responsibility? It is to question and to challenge those in positions of power. That’s what journalism is for. 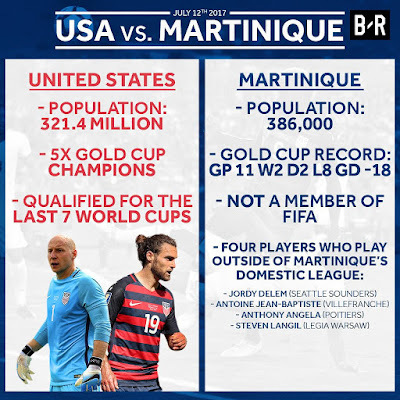 Last night the USMNT squeaked by with a win over Martinique in Gold Cup group stage play. The same Martinique that features a very small 4 tier 57 team pyramid with even its top division being amateur/semi-pro. The same Martinique NT that only has 4 players who do not play in that same top division league as this Bleacher Report Info-graphic points out. Jordy Delem who has a total of 7 starts in MLS after playing only 16 games in USL last season. Antoine Jean-Bapitste who plays for Villefranche in the 4th Tier of the French pyramid. Anthony Angely who plays for Poitiers in the 2nd Division in France, and Steven Langil who played 6 games last season for Polish 1st Division power Legia Warsaw before being sent back out on loan to his previous club Waasland-Beveren of the Belgian 1st Division. 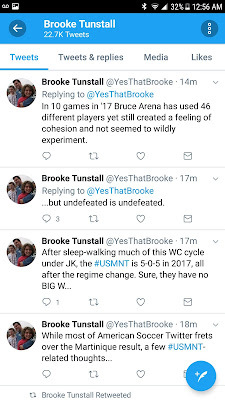 I saw plenty of hand wringing and worry coming from fans on social media over the way the national team played versus obviously inferior competition regardless of if it was the ‘A’, ‘B’, or ‘C’ team Bruce Arena ran out there to play. But I also saw Tweets like this from media members. I also saw a halftime analysis that claims that this “Pressure” was causing problems for the back line of the #USMNT. No questioning of the Bruce Arena installed tactical play of the entire team when under this light pressure. He was not immediately inundated with follow up questions about players such as Miguel Ibarra who was called up from NASL and performed admirably in his action and last nights savior Jordan Morris who was called up directly from college play at Stanford University. With the tiers of American soccer not being merit based… how can any of us and him especially… act as if lower tier teams can not hold top level players? Why was he not pressured on this topic? Why was he not asked if the lower tiers of US soccer are even being scouted? 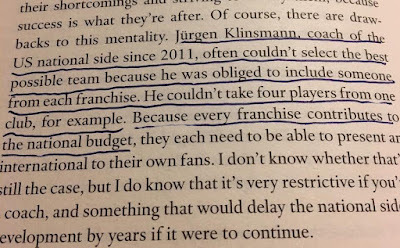 At some point Jurgen Klinsmann was pressured by those in power at USSF to included players from as many franchises in MLS as possible. Klinsmann imploring the best and brightest of young American soccer players to play in top leagues in Europe elicited the ire of MLS Commissioner and USSF Board member Don Garber. 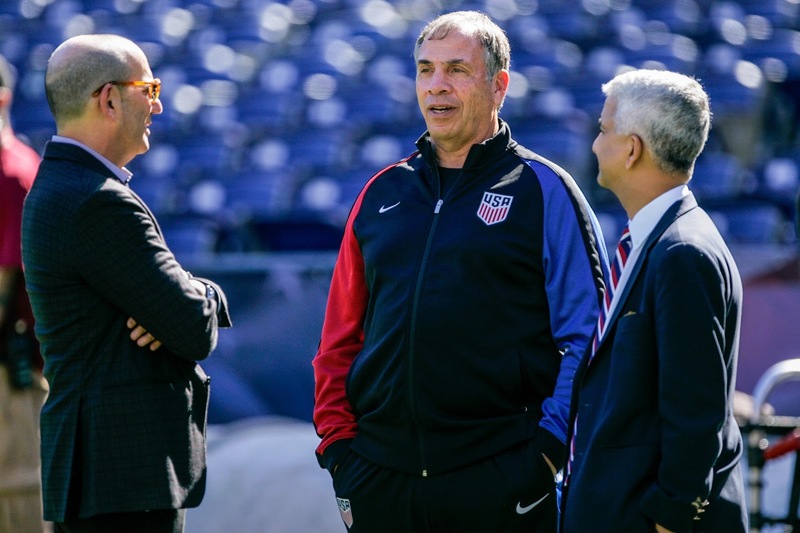 Is Bruce Arena under the same pressure to pick MLS players? Why has only Jurgen Klinsmann, in the recent history of high level soccer people in this country, put under immense pressure by the media? Was it because he didn’t play along with MLS wishes? 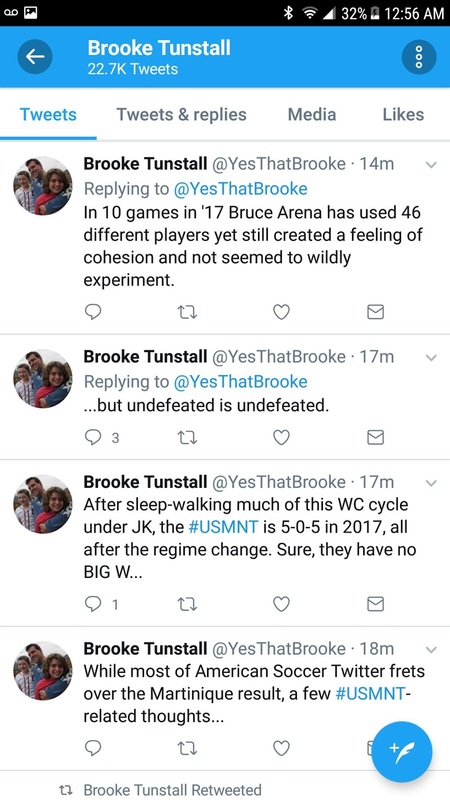 Was it because he put USSF under pressure with his statements about reforming the entire pyramid in the US? For his wishes to fix the development system? To end Pay to Play? Every day we can find a new topic to question those in power over American soccer with. When the media fails to ask these deeper more meaningful questions that absolutely need asked, they become willing accomplices to whatever plan those in power have put in place. Currently it seems that nowhere in the entire ecosystem of soccer in the United States is there being pressure applied to the leaders of the game. Does American soccer media have a single writer, TV pundit, or even big time blogger who consistently challenges the power structure of American soccer?